The Motorola RFS6000 has been discontinued. No direct replacement is available. 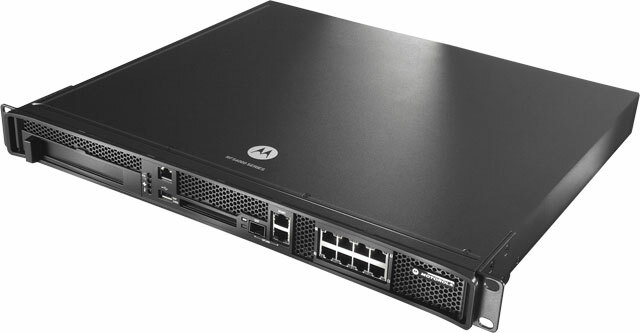 Designed to support large scale high bandwidth enterprise deployments, the Motorola RFS6000 offers a multicore multithreaded CPU-based architecture that is capable of supporting 2,000 to 20,000 mobile devices and up to 48 dual radio 802.11a/b/g access ports. In addition, the 802.11n ready device offers the failover capabilities and cluster management required to ensure high availability. A user accessible ExpressCard Slot allows the addition of a broadband card (3G/4G) for a redundant wireless WAN backhaul connection, increasing resilience for remote branch offices. The ability to cluster up to 12 RFS6000 RF Switches provides the high level of scalability required for large enterprise deployments. I have installed a couple of these switches in a manufacturing company environment along with motorola wireless access points to drive their wireless handheld devices and barcode equipment. They have stayed up since installation, no resetting or rebooting have been necessary.